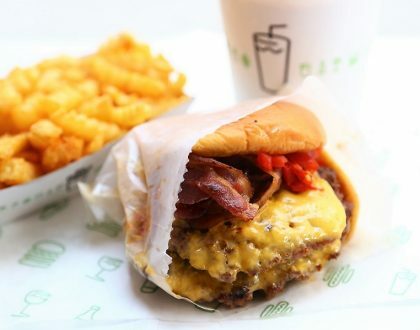 There are too many new restaurants opening up in Singapore. Just this month alone, we have KAMA British Indian Company Kitchen & Bar (North Canal Road), Scottish Restaurant UsQuBa (Fullerton Road), Superbowl (8 Circular Road), Ding Dong and BoCHINche (new location 115 Amoy Street), Gyromania (9 Circular Road), Barrio by Mex Out (313 @ Somerset), The BetterField (The Treasury), Hareloom Deli (Klapsons Hotel), Chow Fun Restaurant & Bar (The Grandstand), Café Melba (Mediapolis), K Cook Westgate), and Tang Restaurant and Bar (Keong Saik Road). And the following featured here including Camp Kilo Charcoal Club (Kampong Bugis), Full of Luck Club (Holland Village), Gu Thai Noodle Café (Selegie), Source (Chai Chee), What’s This (Killiney Road), Ah Bong Italian (Beach Road), Knicker+Bockers (Ocean Financial Centre). Tried my best combing everything. Believe me when I say I visited a lot more than these, but listed those I think are fairly more interesting (or less covered). Snapchat @DanielFoodDiary if you really want to know where I went. 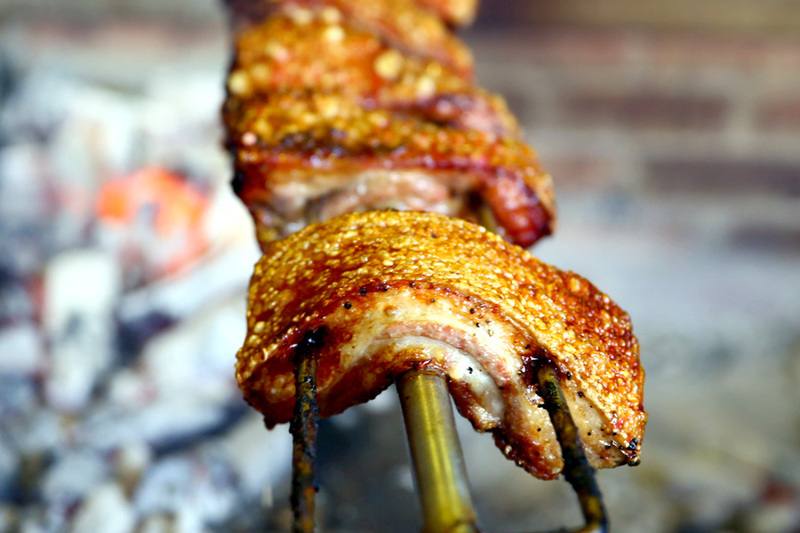 This Fridays and weekends-only eatery is inspired by semi-outdoor pig-roast parties the team had, serving meats such as Whole Roasted Pig ($12 for 100g), Boneless Lechon ($12 for 100g), Chipotle BBQ Ribs ($15 for half, $30 for whole), Crispy Pork Belly ($10 for 100g), and Roasted French Poussin Chicken ($10 for half, $18 for whole). I thought it was slightly on the expensive side. Be prepared to spend about $35 – $60 per pax (rough estimate). A tad smoky (understatement) during early evenings. Come in light attire, and don’t mind sweating a little. 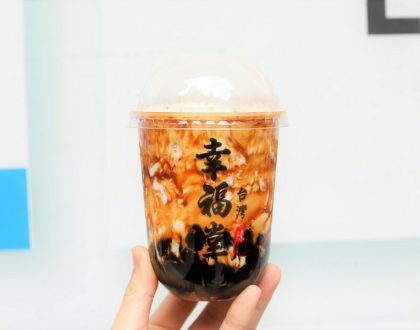 Full of Luck Club 福乐 has opened at Holland Village, from the same team behind Li Bai Cantonese Restaurant, offering a “progressive and contemporary take on authentic Cantonese cuisine”. 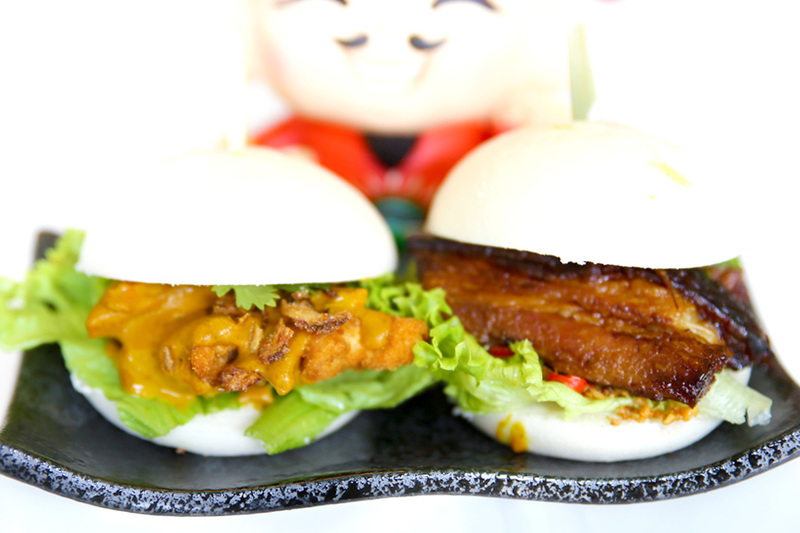 Its specialities are the steamed bao such as Salted Egg Yolk Prawn Bao, Braised Pork Belly Bao, Kung Pao Fried Chicken Bao, Portuguese Pork Chop Bao and Panko-crusted Portobello Bao (any 2 for $9.80). Its menu will also incorporate Li Bai classics, and offerings of dim sum ($5.40 – $7.20), Hakka Crispy Kurobuta Pork Belly ($18), Crispy Aromatic Duck ($35 for half, $70 for whole), King Prawn Crispy Noodles ($24), Sweet Mint and Lime Cod ($24). The menu was different: more comprehensive with Boat Noodles, Tom Yum bases, tze char styled Thailand Street food, Appetizers and Side dishes. SOURCE is the latest restaurant by funky celebrity Chef Melvyn Lee, best known for his cooking travelogue show “Accidental Chef” (and perhaps his bulging biceps). 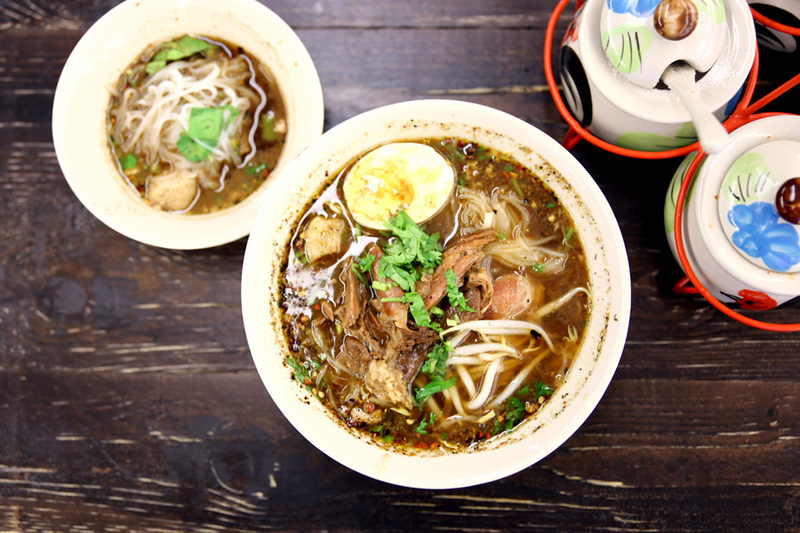 Having successfully started up 2 takeaway joints, Chef Melvyn now helms his own kitchen and restaurant, located at Technopark @ Chai Chee. 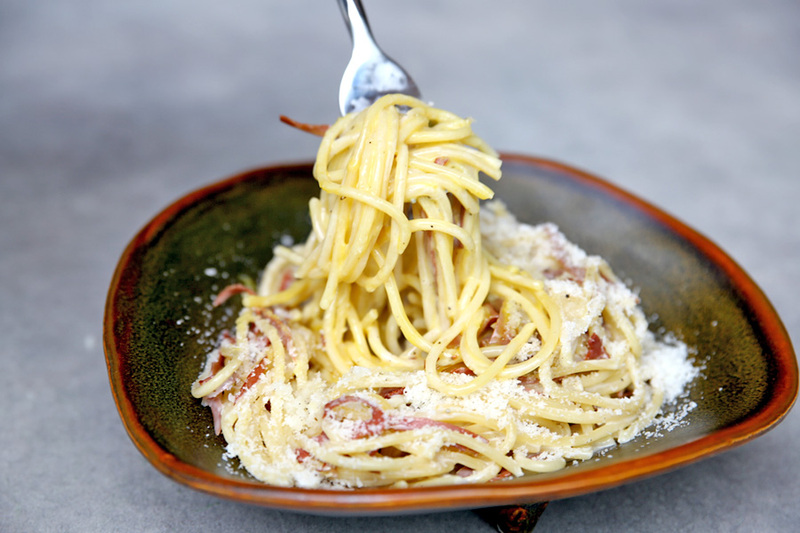 Mains include Grilled Squid ($23), Pork Belly ($26), Beef Tenderloin ($29), and Pasta dishes such as Aglio Olio with Spicy Mushrooms ($17), Carbonara Truffle Wagyu ($24) and Orange Duck Ragu ($24). Many have talked about wanting to go to this Yunomori Onsen & Spa, probably the first Japanese onsen in Singapore with the biggest variety of baths. There is an eating area at the back, which not many talked about. 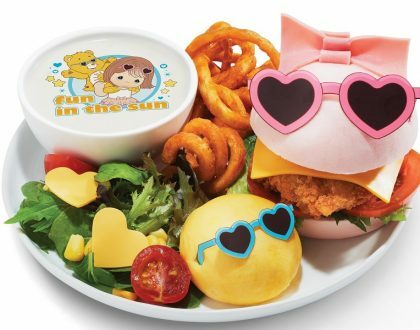 The menu includes items such as Hamburger Steak Plate ($17.90), Curry Set ($16.80), Udon Set ($10.80), Oden Set ($14.00), Tempura Don ($15.80), Katsu Don ($12.80), Tempura ($11.80 – $13.80), side dishes and fried items. 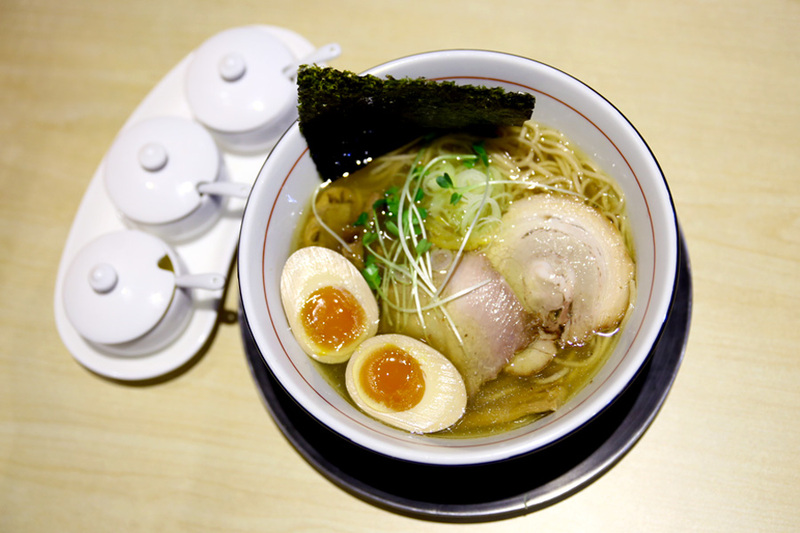 Bigiya Ramen, which was listed as within the Michelin Tokyo Bib Gourmand in both the 2015 and 2016 guides, has quietly made its entrance in Singapore at Ramen Gallery Takumen – ラーメンギャラリー 宅麺 Boat Quay. Bigiya (the original store at 2-4-9 Takaban, Meguro-ku, Tokyo) is known for its tasty rich soup cooked with fish and chicken, and special noodles containing whole wheat flour. The highlight in the taste of citron within the soup, with the secret sauce “airlifted from Japan”. Three different ramen types are offered: The Bijiya Yuzu Fragrance White Soy Sauce Ramen ($15.90); an option with a flavoured egg (additional $2); and special version ($19.40) with extra two types of charsiew and bamboo shoot. 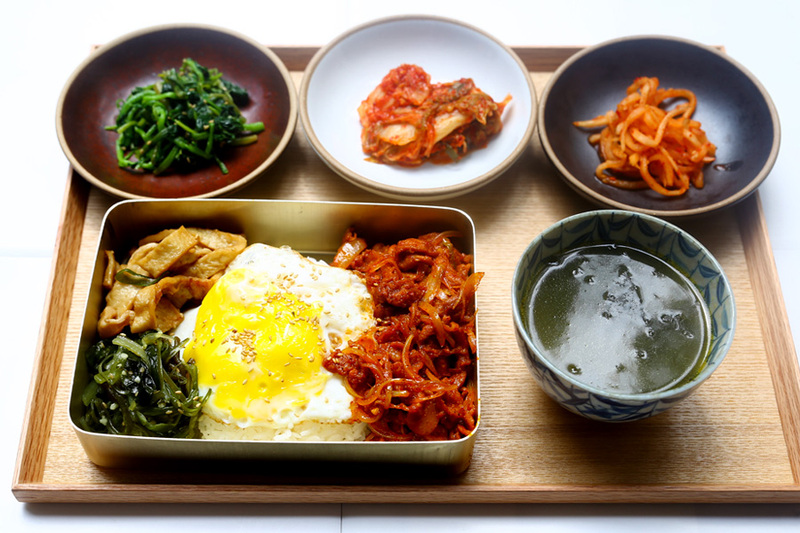 Miss Korea by Supulae closed at Killiney Road, and in comes in another Korean Restaurant What’s This? Yeah, the name is What’s This? The Master Chef is said to be a celebrity chef Alex Kim. 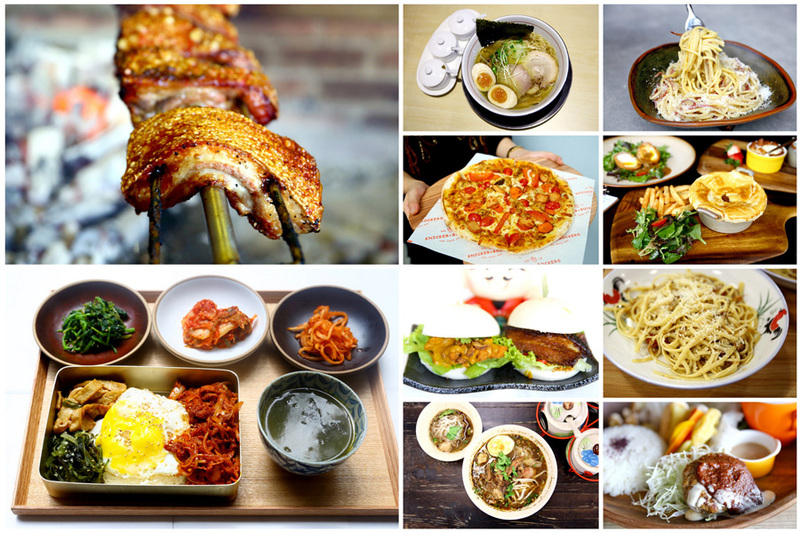 Food looked quite authentic, and you can look forward to some Korean Fried Chicken ($14 – $15 for 4 pieces, which was quite the yums), Barbecue, Hot Pot ($13 – $48), KimBob ($10.50 – $22) and Ramen ($12.50 – $13.50). Can get slightly too smoky, so we had to sit outside. 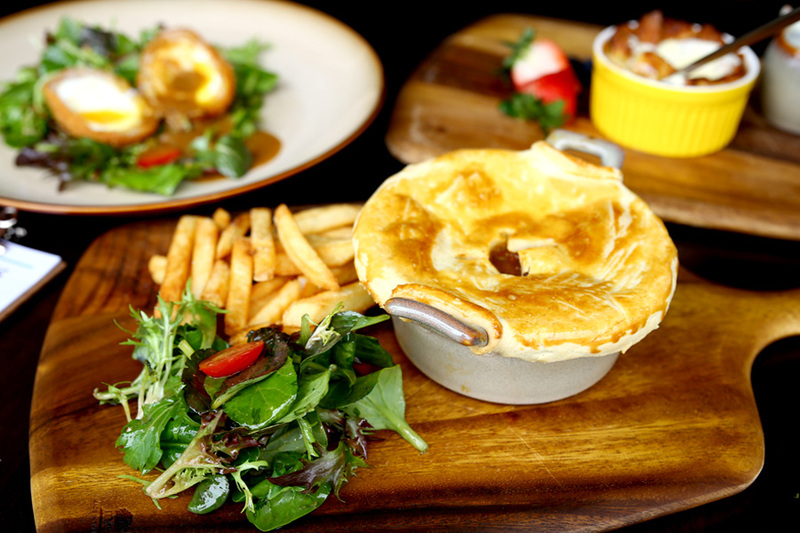 The team behind Char opened a British Bistro called Monkswood, specialising in pies with fillings of steak and ale, fish pie, cottage pie ($16 – $19). Add a staple of every British weekend, the roast. 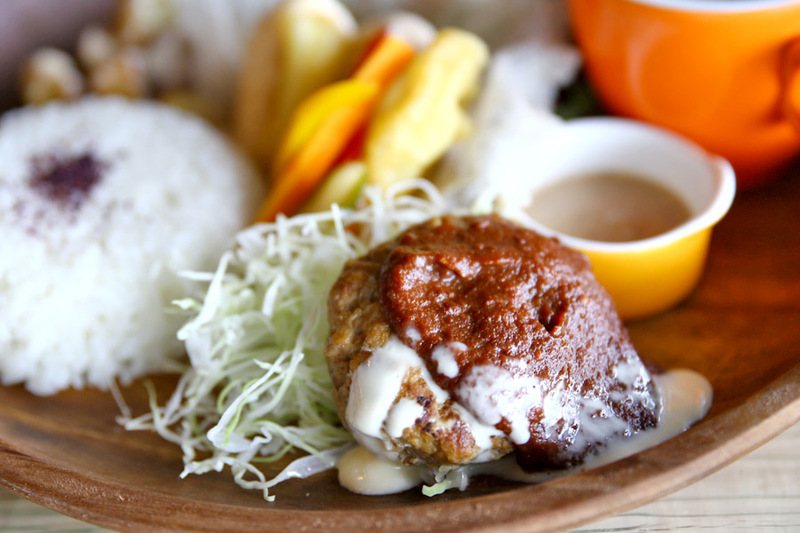 They also serve unique traditional dishes such as Toad-in-the-Hole ($16), and their own take on Melton Mowbray Pork Pie ($16). The humble pasta food stand at the Tiong Bahru Kopitiam has apparently done well enough to open its 2nd! 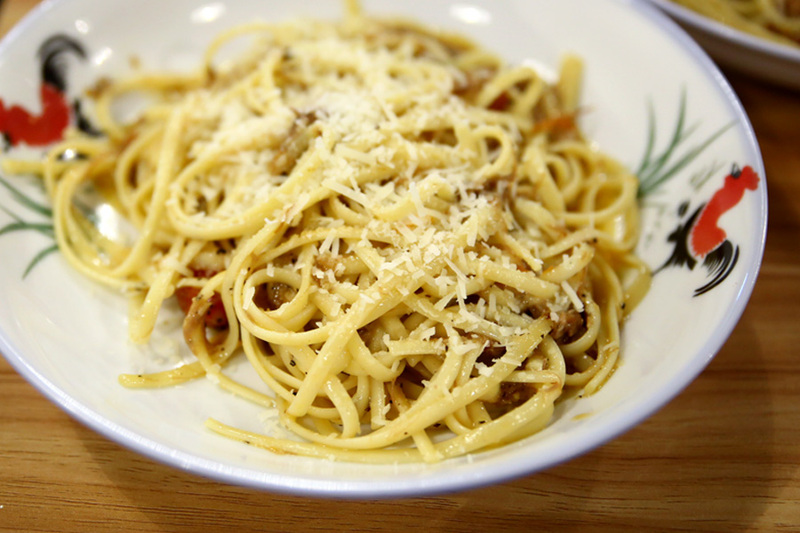 Taking over the space left vacant by Gastrosmith, owner Chris continues to serve pasta dishes at affordable prices. Though seems slightly more expensive at this outlet. 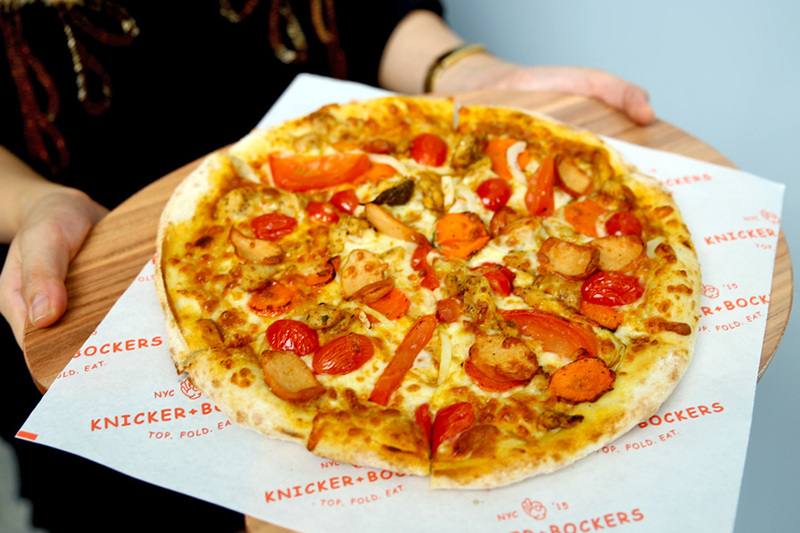 Knicker+Bockers, a DIY pizzeria is opened at Ocean Financial Centre Raffles Place and Leisure Park Kallang, serving both build-your-own pizzas and pastas. You can choose from 4 types of hand-stretched dough (NY style, Cali style, NY Herb Crusted and Cali Herb Crusted), 5 special sauces, 8 kinds of cheese and 40 toppings. That would mean (almost) endless combinations. Prices are affordable, considering a central CBD location, at $12.90 for pizzas and $8.90 for pastas.